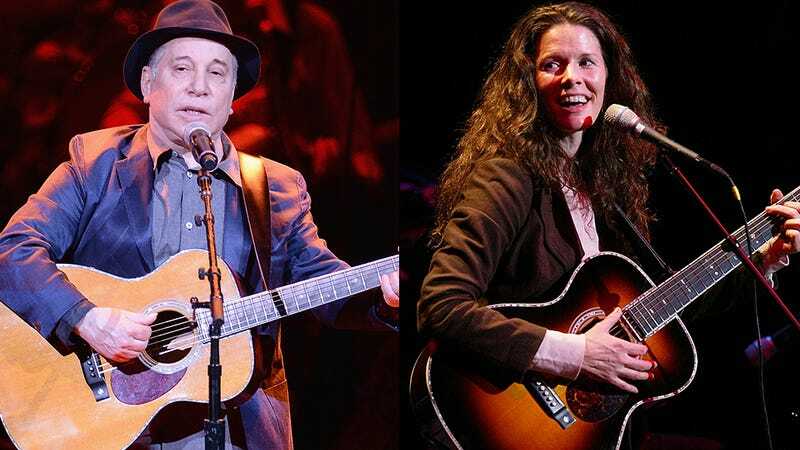 Singer-songwriter Paul Simon and his wife, singer-songwriter Edie Brickell, were arrested over the weekend after some sort of spat at their home in New Canaan, Connecticut. According to reports, cops were called Saturday night and "found probable cause" to arrest the award-winning couple. NBC News calls the incident a "family dispute"; the Daily News claims there was "some sort of domestic violence charge," and the Hartford Courant reports there was "a minor physical altercation." Chief of Police Leon Krolikowski told the Courant that there were minor injuries, but declined to give any details. "There was aggressiveness on both sides," Krolikowski said. "Under Connecticut law we're obligated to make an arrest because it was domestic violence," Krolikowski said. Neither Simon nor Brickell was taken into custody, but were issued misdemeanor summons to appear in court. Simon, 72, and Brickell, 47, have three children, ages 16, 19 and 22. It's unknown whether they were in the house at the time. "Before we left the scene we made assurances both [husband and wife] were safe," Krolikowski said. "One of the parties agreed to leave and did leave." He declined to say where they lived. "Frankly, they're both victims," he said.